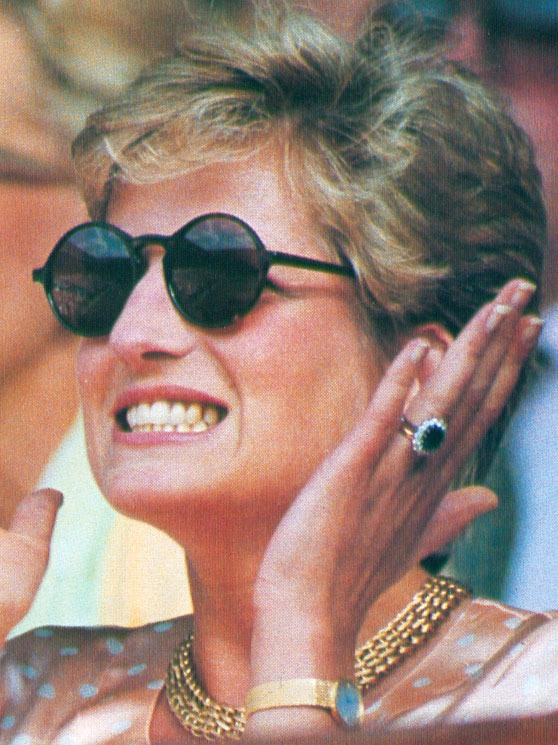 Princess Diana wears a "D" necklace to a polo match in Australia. 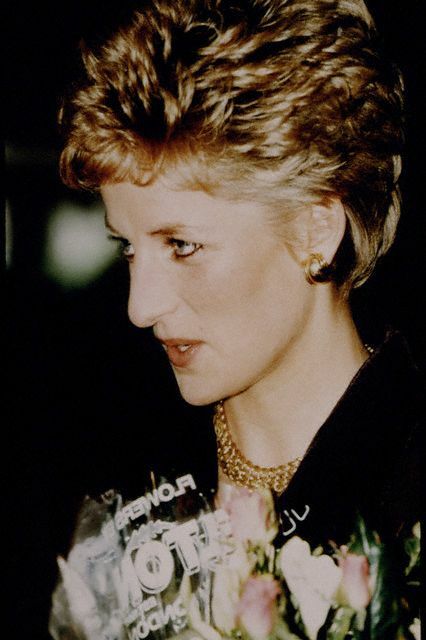 Princess Diana wears gold jewelry with her short haircut. 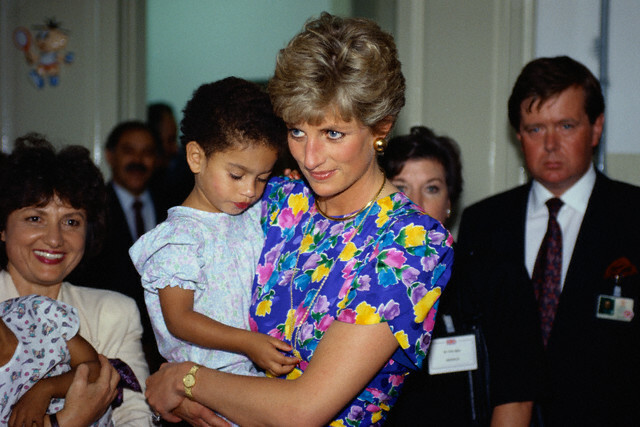 File photo: Princess Diana holds a baby at a hostel for abandoned children in Sao Paolo. The hostel cares for many children some of whom are HIV positive. 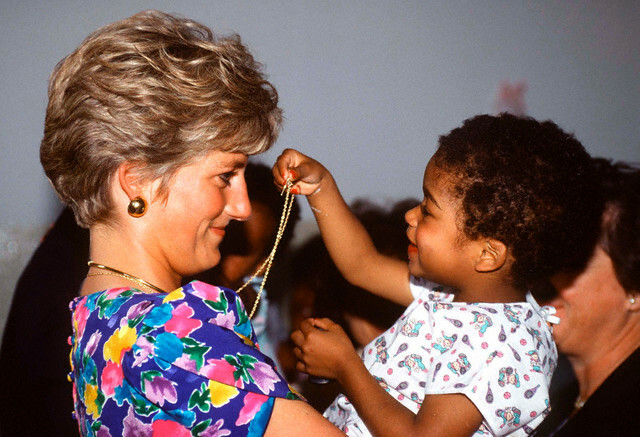 This little girl enjoys playing with Diana's necklace. 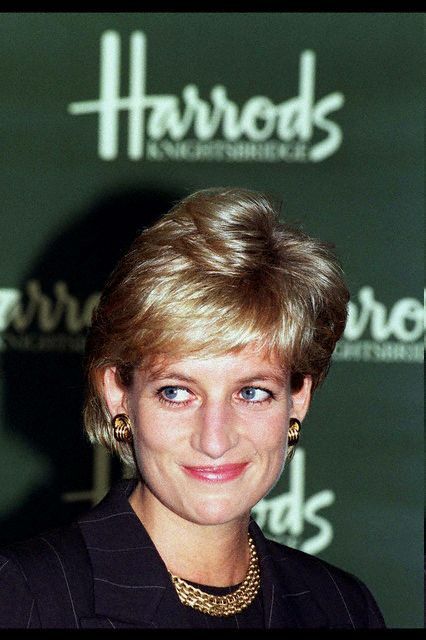 On the fifth anniversary of Princess Diana's death her loss is mourned by many people among them those whose lives she touched with her caring ways. Princess Diana visits a hostel for abandoned children in Sao Paulo. Picture from Nellie, The Royal Jewels of the World Message Board. "...With exquisite, but quite unconscious, irony the Crown Prince and Crown Princess of Jordan presented to the Princess of Wales an antique necklace of Indian origin which recalled the great treasure trove of royal gifts from India over the span of 150 years. It is an elaborately worked gold choker with a pearl fringe, set with multi-coloured gems, including a central emerald, turquoises and diamonds." I only found out about this necklace while reading this book. 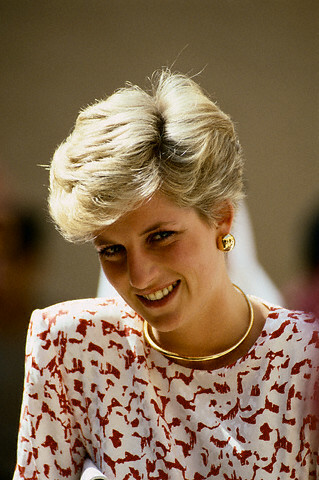 I am not sure if this was ever worn by Diana or if she had it altered to suit her tastes. If anyone has any information, it would be greatly appreciated. At the time the book was written, the Crown Prince of Jordan was the brother of the late King Hussein. The Princess of Wales visiting Princess Anne after the birth of Zara Phillips. Picture from MClark's scrapbook sent via e-mail. 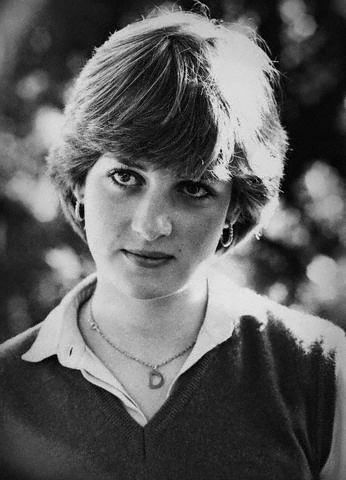 Picture scanned from 'The Story of DIANA' p.105 by David Levenson and Trevor Hall, 1985. This book doesn't have any page numbers so the numbering I used starts immediately after the family tree page. The yellow gold circle is engraved with the name 'William' in Prince Charles' writing. This was a present from Charles to Diana after the birth of their son. I think the gold necklace is the Omega necklace described above with an added butterfly pendant. Note the matching earrings. Picture provided by MClark via e-mail.